without losing the ability to approve requests from within Outlook, and the requesting of groups within Outlook. Since lots of orgs are using Office 365 no more embarrassing conversations about these great features you can't have. SSPR already supported other browsers but now MIM Portal will support Chrome, Firefox and Safari. Platform Support -- MIM now supports all of the latest platforms Windows 2016, Active Directory 2016, SQL 2016, SharePoint 2016, Exchange 2016. Say what? Why not SQL 2016? is this an error? If true this implies that BHOLD isn't as highly prioritized. Again -- if true this suggest lower priority. In general most new MFA solutions aren't using smart cards and certs. Back up the pilot and production environments by using the Backup and Restore procedures. 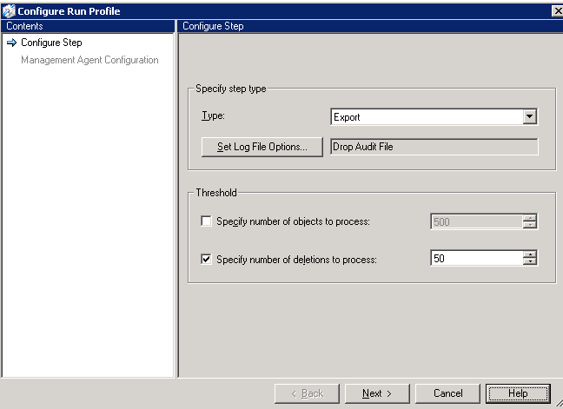 Export the FIM Service schema configuration. Export the FIM Synchronization Service configuration. Export the FIM Service policy and FIM Synchronization Service configuration resources. Install the FIM Synchronization Service and the FIM Service in the production environment. Enable the maintenance mode in the production environment. Import the FIM Service schema configuration. Import the FIM Synchronization service configuration. Install the custom DLLs necessary for custom workflows. 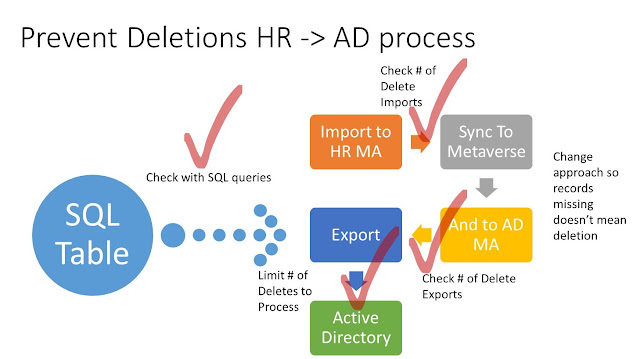 Import the FIM Service policy and FIM Synchronization Service configuration. Disable maintenance mode in the production environment. After Step 10 "Import the FIM Service Policy" your attribute flow precedence will get messed up if you had changes to inbound sync rules that write to the same attributes as any import attribute flows defined in the management agents. Here is why: After step 10 you have imported the sync rules into the FIM Service and Portal but until you run an import on the FIM MA those sync rules and their attribute flows are not yet in the sync engine. Once you run the FIM MA import then you have those flows but the precedence may not match the precedence in the source environment. Solution: After step 10 Run a Delta Import and Delta Sync on the FIM MA. Then reimport the FIM Sync configuration (Step 8). Why this works: This gets the sync rules and their attributes flows into the Sync engine and then reapplies the attribute flow precedence from the source environment. Word(strAttribute,2,"2") I really would prefer to bypass it altogether. These are calculated columns and they use the concatenate function. Instead use a Text formula for the calculated column. This of course supposes that you can get the SharePoint developer to change it.